What do journalists actually do before publishing an article or television programme? How do they try to ensure they convey events correctly? And what role do personal opinions play in journalism? Media and the way they operate are a hot topic of public discussion in the current age of „fake news“. 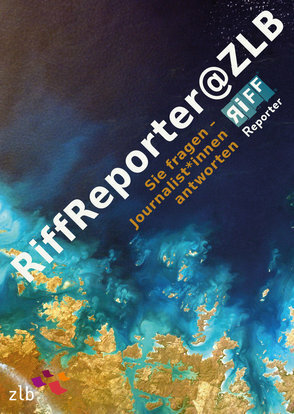 We have been co-operating with the RiffReporter journalist initiative www.riffreporter.de since autumn 2017 to enable library visitors to engage in direct conversation with journalists. “We want to give people an insight into our journalism toolbox, and, through a two-way conversation, learn more about how our work is perceived”, says Christian Schwägerl, co-founder of RiffReporter. “Normally it’s the journalists who ask the questions; but our event format allows anyone and everyone to pose their own questions to journalists”, Schwägerl adds. As such, a RiffReporter was available to take questions at Info Counter 2 at the Amerika-Gedenkbibliothek (American Memorial Library) on twelve separate occasions throughout autumn 2017. Anja Krieger from RiffReporters will be a guest reporter at the Berliner Stadtbibliothek (Berlin City Library) for an entire week from 25/6 to 1/7/2018. More detailed information is available here. RiffReporter is a union of freelance journalists from the fields of science, the environment, culture, society and technology. In November 2017, the RiffReporters were the recipients of the 2017 #Netzwende Award.